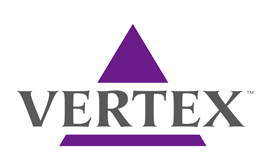 Drug developer Vertex Pharmaceuticals recently announced their intention to continue to invest heavily into the development of Cystic Fibrosis treatments, indicating that its lead CF treatment Kalydeco (ivacaftor) is expected to help the company to substantially expand its Cystic Fibrosis franchise in 2014. 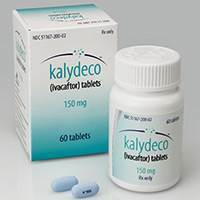 In spite of the fact that recent data from ivacaftor-related clinical trials has offered middling conclusions about the drug’s efficacy in treating the disease, there has been enough positive news in Kalydeco’s use in patients six years and under for it to receive a new indication from the FDA. Previously, BioNews Texas reported on how Vertex’s Kalydeco had missed its primary endpoint in Phase 3 trials, which sought to prove the drug’s effectiveness in treating patients with the R117H mutation of cystic fibrosis aged 6 and older by not demonstrating enough improvement in lung function in patients under 18. However, participants ages 18 and older did show significant improvement. In spite of missing the primary endpoint in youth patient with the R117H mutation, Kalydeco continues to be seen as a largely successful and viable treatment option for Cystic Fibrosis after being approved in January of 2012 for CF patients who have at least copy of the G551D mutation. The drug was also granted Breakthrough Therapy Designation in late 2012. Now, with this expanded approval, Kalydeco is able to be used in patients with CF with the following 9 mutations: G551D, G178R, S549N, S549R, G551S, G1244E, S1251N, S1255P and G1349D.